Basketball shoes are a very unique collectible. On one hand, they are simply shoes, which are a staple of modern human life that almost everyone needs. On the other hand, basketball shoes are a specific collectible that, in many cases, can be directly attributed to one superstar athlete and help a fan feel connected to that player. While seasoned sneakerheads have long ago honed their collecting habits, novices can be easily overwhelmed with the all the choices. With that in mind, we have compiled a list of helpful questions and suggestions to best plan and develop your basketball shoe collection. View all our basketball shoe articles and guides here. Do you plan to wear them or just display them in your home? Are you a casual collector looking to expand your wardrobe? Do you want several options to use in your local rec basketball league? Are you a huge basketball fan and want to showcase this in your everyday outfits? Is there a particular star player that you follow and want to collect his shoe line exclusively? Or do you want to jump into the high-end basketball shoe world? These are all important questions to ask yourself when you are interested in collecting basketball shoes. If you don't establish your purpose, it is easy to waste a lot of money trying to figure out what you hope to get out of your collection. What Basketball Shoes Do You Want to Collect? While there are signature shoe lines for Michael Jordan, Kobe Bryant, LeBron James, Kevin Durant, and many other basketball stars, there are also shoe lines not specifically associated with one player. Popular options include Nike Air Force Ones, Nike HyperDunks and Nike Foamposites. And although Nike is the biggest brand for basketball shoe collectors, Air Jordan, Reebok, Adidas, Under Armor, Li-Ning, Peak, and many others, offer collectors a wide variety of shoes to chose from. Another popular option is collecting vintage basketball shoes. These early releases are usually in short supply and likely to have some wear. The most iconic shoes get retro treatment, which means that the company remakes the shoe, usually several years later. Since this may be the only way a collector can find or afford an early model, these can be some of the biggest releases of the year. In most instances, the most expensive and valuable current basketball shoes are normally limited editions, usually with a finite number, or exclusives, which are only found at a specific retail establishment. These are generally the hardest to find and the most likely to have a huge markup when listed for resale. Unfortunately, with anything that maintains value, counterfeits become a problem. It is good to be aware of this possibility, so always do your homework before making a purchase outside of an established retailer. How Much Can You Spend and How Often Do You Plan to Buy? Another obvious question, but still one worth asking is how much money are you able to spend? Basketball shoes are not cheap. Even the cheapest signature shoe options generally start around $100, but they can MUCH higher. On the other end of the spectrum, there are occasionally options like the Starbury, the signature shoe for Stephon Marbury, which cost only $15. However, those are not common. There is also the question of how often you plan to buy new basketball shoes for your collection. Popular models, like the Lebron or the Kobe, will have 20+ different colorways, that are randomly released throughout the year. The term "colorway" has been adopted by the sneaker community to describe the color combinations specific to each basketball shoe release. While it is easy to get caught up in the excitement, if your budget can only handle five new pairs a year, you need to do your research and wait for those particular models that match your preferences. You can stretch your dollars by buying used sneakers or less popular colorways, but not everyone would be willing to go that route. Are You Open to Selling or Trading? Just like with any collection, it is good to take inventory and make decisions to help fine-tune your collecting process. Over time, your sneaker collection will reach a point where you have several pairs you no longer care for or wear or maybe a pair that turned out be very valuable. In any case, it is good to decide if you are open to selling or trading. If you are open to the idea, an entire market of shoe sales has sprung up in response to the popularity of basketball shoes. eBay is a popular destination for many basketball shoe collectors, especially when a particular shoe is classified as deadstock, or no longer available from traditional retail avenues. There are also a variety of shoe swaps and shoe expos that take place in larger cities, where collectors can come and talk sneakers, check out new models and trade with fellow collectors. Another reason you might be interested in selling or trading is if you are attempting to flip basketball shoes. Many shoe collectors will buy a a pair of shoes, or multiple pairs, simply because they know it will quickly sellout or if it is a really good deal. This way they can turn around and sell the shoes for a premium. The problem with this is that acquiring the most popular releases is very competitive and some collectors and sellers will camp out at brick-and-mortar stores days in advance to buy the newest shoes. Also, just like flipping sports cards, it is not foolproof and you could easily be left with a ton of inventory or be forced to take a loss. How Do You Properly Protect and Store Shoes? This one can be very simple if you don't wear the shoes. Just keep them in the boxes or display them away from harsh lights, and they should stay in top condition for many years. However, shoes are hard to enjoy if you cannot wear them. If you do plan to wear them, you can still make an effort to protect them. Intense use while exercising or playing basketball will wear down shoes the fastest, so it is best if you have a pair or two that are simply for rigorous activities. Also, extreme elements can greatly deteriorate shoes, so it would be ideal to use a backup pair on days with considerable cold, heat, or precipitation. If any of your shoes do suffer from staining after use, a spare toothbrush, warm water and a mild cleaning agent can work wonders. It is also good to be knowledgeable about the composition, especially when dealing with leather or suede. No matter what, avoid harsh chemicals, especially bleach. With the size and price point of many basketball shoes, most people do not have the resources or the space to house a huge collection. While it can seem to take up extra space, it is usually beneficial to hold onto the shoe boxes for individual storage and protection. They are also an appealing option for a buyer if you are planing to sell your shoes. It is crucial to decide the long-term goals of your collection so you can maximize your dollars and eventually achieve your goals. Like anything else, your collection will evolve over time and many new shoe releases will drop every year, which might alter your plan. Remember that this is a hobby and it is supposed to be fun. There is no wrong way to collect as long as you enjoy yourself. Having said that, it can still be beneficial to have a plan in place, even if it is not set in stone. I have a new pair of Reebok “The Pump Vertical II” midfoot basketball shoes I won in a contest back in the 1990’s. They have been in the box in my closet for 25+ years. I’d like to sell them but can’t find a reference price point. Any idea what they might be worth? Have a pair of Red Label/Brown player name..CHUCK TAYLOR Converse shoes. I am looking to buy a pair Adidas Crazy 2.0 (KB2) in white in my size 8.0 but I can’t seem to find anywhere for under $90. Eastbay did have them for $80 but I was to late to make the purchase. My question is what does Adidas do for a specific retro, do they make a certain amount for each color and size and stop making them? 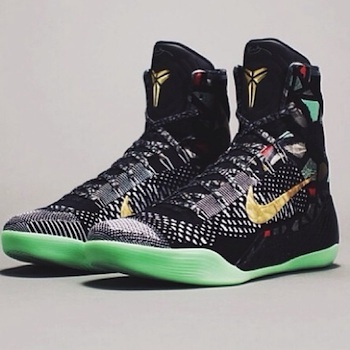 or will they keep making more if let say Eastbay orders more of that size/color from them? Tom � Not sure what colorway you are looking for, but check the Adidas website. I saw the Black/Onix/Aluminum there in your size for $75 and you can get 15% off if you sign up for their newsletter. Generally when shoe releases are gone, they are gone for good. Hey guys. Im a reporter for The Voice of America. And now I work on TV story about Sneakers collectors. Do you know anyone in DC area who would be interested to participate in this project? Sneaker collecting is not worth it. Look up…hydrolysis. Your midsoles will literally crumble before your very eyes. Like one sneaker executive once said…”We’re in the business of selling high performance athletic shoes. not collectibles.” Unless you want to pay someone $250.00 every 10-20 years to put new soles on your “collectibles” then, have at it. I like your tip about storing shoes away from harsh light. I am thinking about starting a shoe collection. I don’t want to store them improperly and waste my investment. Now, I just need to find a place I can store them, and where I will still be able to enjoy them. Thanks for sharing this tips to choosing the basketball shoes. Love all shoes in this web. What’s a impressive. Trey, I have a pair of Nike ” Force” basketball shoes that are from 1992. I was thinking about giving them away but I thought they may be worth something to a collector. Can you give me some information about value or where to find value. I’m willing to accept the fact that they aren’t worth anything. Thanks for your help. Robert Kropkowski � A lot depends on the condition. eBay is your best bet for current value ranges. Check sold listings for editions that are similar to yours. I love to collect basketball shoes. Mainly I collect Nike shoes. I collect from ebay auction. And I can get them at very low cost than the real price. At this moment I have almost 9 basketball shoes. 8 of them are Nike and another one is Under Armor. I get this one for my son’s choice. Im beginner in basketball and looking for high Nack basketball shoe, please suggest me which is better for beginner high nack or flat shoes.